Looking for a new tasty meatloaf recipe that everyone can agree on? 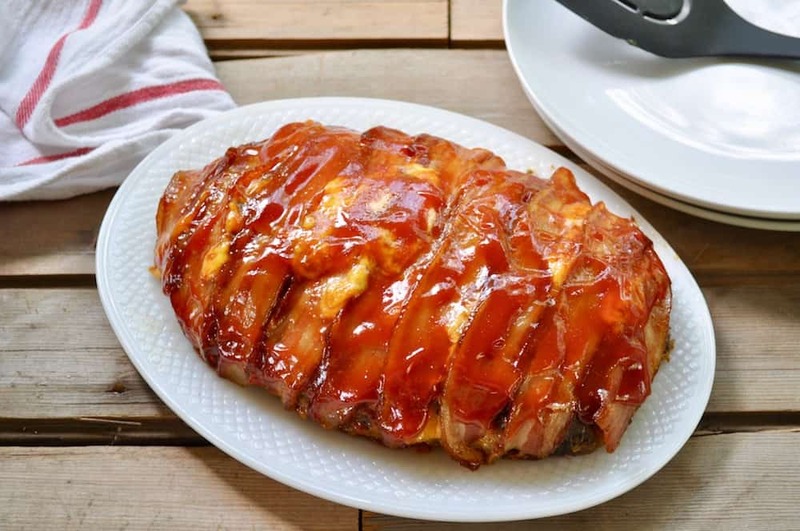 Try this Bacon Cheeseburger Meatloaf, and you won’t have any complaints about dinner tonight! It’s like the best things about a good cheeseburger all wrapped up and roasted together. Seriously your bacon cheeseburger loving folks need this in their lives. Plus there isn’t anything more delicious than a meatloaf sandwich except for maybe Bacon Cheeseburger Meatloaf and this meatloaf is big enough to give you ample leftovers. This recipe takes the best parts of a cheeseburger and elevates them to a fork and knife meal. You can serve this to guests, or a house full of teenagers and no one will complain. Ask me how I know! Everything for the cheeseburger goes right IN the meatloaf except the bacon and the ketchup. 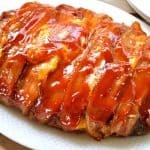 The bacon goes on top of the meatloaf, gets long roasted and crunchy on top. 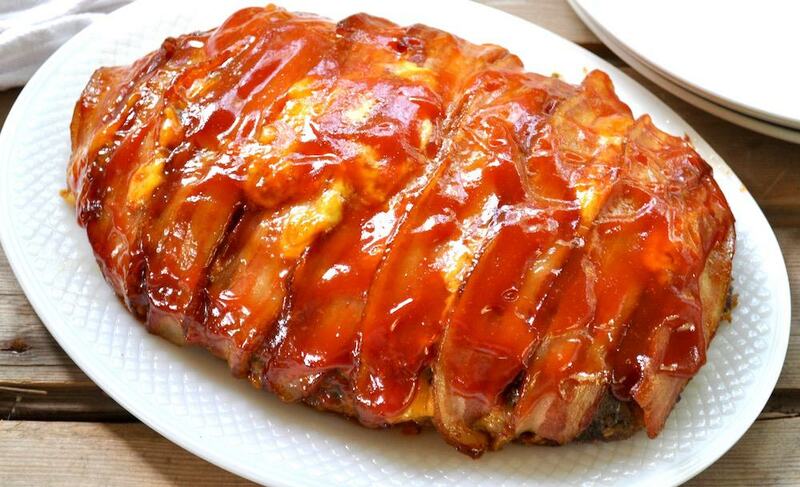 The ketchup goes on as a glaze in the last 5-10 minutes for a quick, delish topping to a perfect meatloaf. Do use extremely lean ground beef for this recipe. It does make a difference because you’re adding in cheese and topping it with bacon you need the lean meat to keep the loaf together. I know a lot of people ask me where I get my ground beef and other cuts of beef. We purchase our beef from The Alaska Meat Company. They have a herd of grass-fed beef cows on an island in Prince William Sound, and the ONLY graze the cows. We buy their beef every year and feel blessed to have such lean meat available to us. And let’s talk about those leftovers eh? Yeah, THOSE! This meatloaf is big enough to make a couple of hearty sandwiches the next day. The only thing better than a meatloaf sandwich is a Bacon Cheeseburger Meatloaf sandwich. Looking for a new tasty meatloaf recipe that everyone can agree on? 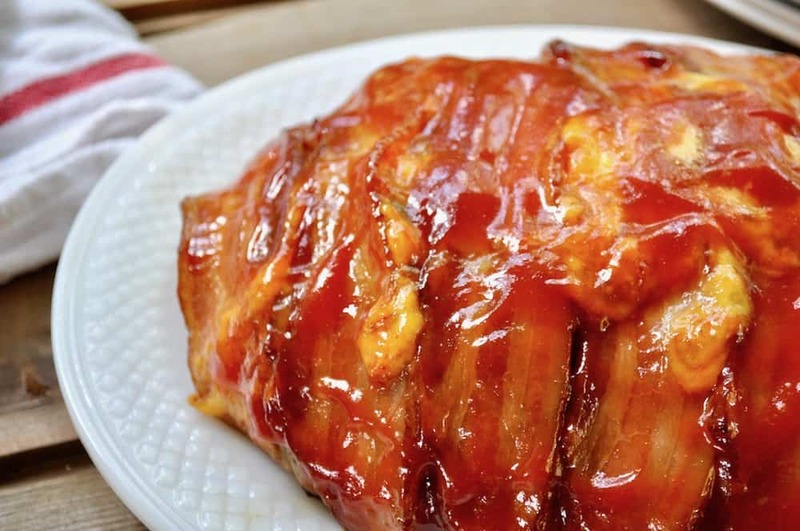 Try this Bacon Cheeseburger Meatloaf and you won't have any complaints about dinner tonight! OH YUM! Meatloaf is my favorite, favorite comfort food – but this looks over-the-top delicious!